One of the largest bit-torrent site on the internet, slowly goes down last week. As torrent sharing site getting banned is not a new thing, just because of the privacy content. With the same thing, last week H33t.com also goes down. 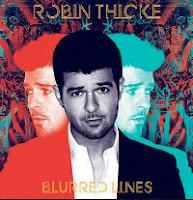 to block the domain and remove the DNS of the H33t, as its was distributing unauthorized copies of Robin Thicke’s album Blurred Lines. H33t domain was host on the German company Key-Systems, and firmed says that they were forced to take down the domain of the H33t following by a court order. Key system have deleted all the DNS record of the H33t domain and makes the site unreachable for the its users. After the seize of the domain, H33t back with the new .ec domain, and now users can access the site with the new domain as (www.h33t.eu). This is a good news for the fans of the H33t, as well as for the torrents lover.